Climate change is confronting African farmers with growing uncertainties. Advances in seasonal climate predictions offer potential for assisting farmers in dealing with climate risk. Experimental cases of forecast dissemination to African rural communities suggest that participatory approaches can facilitate understanding and use of uncertain climate information. But few of these studies integrate critical reflections on participation that have emerged in the last decade which reveal how participatory approaches can miss social dynamics of power at the community level and in the broader context. Furthermore, neither climate application research nor theoretical critiques of participation fully examine the culturally constructed nature of participation. 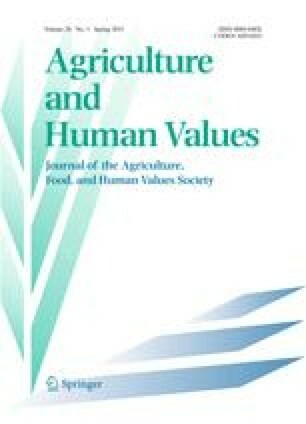 Drawing on sociolinguistic analysis, in-depth interviews, and ethnographic observation, this paper examines how Ugandan farmers engage in participation in the context of discussions of seasonal climate forecasts. Forecasts were presented to farmers groups whose members were then asked to discuss the forecast among themselves. In doing so, groups sought to develop a common understanding of the forecast and consensual plans for response strategies. Focusing on one particular group meeting as an example, we show how different cultural styles of participation affect the interpretation of the forecast and the formulation of response strategies. Group interaction is shown to be mostly structured around two styles of participation. On the one hand, there is the “Western” style advocated by NGOs and the government, which centers on ensuring that all individuals who are present have opportunities to speak during discussion and to vote on group decisions. On the other hand, a “Kiganda” style of participation emphasizes the importance of affirming ties to a collectivity, respect for social hierarchy, deployment of good manners, and consensus building. The case study illuminates how the performance of different styles of participation is grounded in localized frameworks of language and culture but also draw on political and policy discourses at the national level. Although a cultural high value on consensus may work in favor of prominent members, the availability of multiple styles of participation also enables group members to exercise their agency in positive ways. Attention to the interplay of different styles of participation throws light on the subtle social processes that shape how knowledge is assessed, which sources are trusted, which and whose interpretations prevail, what options are deemed viable, how costs and benefits are calculated, and whose resources are mobilized in the effort to reduce vulnerability to climate risk. These are key questions for an assessment of the role of boundary organizations, such as farmer associations, in the communication and application of climate forecasts in agriculture. We would like to recognize the support of the National Science Foundation in funding this research through grant SES-0345840 to the Center for Research on Environmental Decisions at Columbia University. The Ugandan Department of Meteorology provided institutional collaboration: in particular, we would like to acknowledge Drs. Paul Isabirye and Abushen Majugu. Dorah Nanteza was an invaluable research assistant and Karen Beardsley contributed her significant cartographic expertise in preparing the maps, which were previously included in a different article based on the same study published in Climatic Change. Finally, we thank three anonymous reviewers and Kent Glenzer, Nicole Peterson, Sabine Marx, Poonam Arora, and Richard Marcus for useful comments and suggestions. Pahl-Wostl, C., E. Mostert, and D. Tàbara. 2008. The growing importance of social learning in water resource management and sustainability science. Ecology and Society 13(1): 24. http://www.ecologyandsociety.org/vol13/iss1/art24/. Stringer, L., A. Dougill, E. Fraser, K. Hubacek, C. Prell, and M. Reed. 2006. Unpacking “participation” in the adaptive management of social-ecological systems: A critical review. Ecology and Society 11(2): 39. http://www.ecologyandsociaty.org/vol11/iss2/art39/. Uganda, Republic of. 2007. Climate change: Uganda National Adaptation Programmes of Action. http://unfccc.int/resource/docs/napa/uga01.pdf.